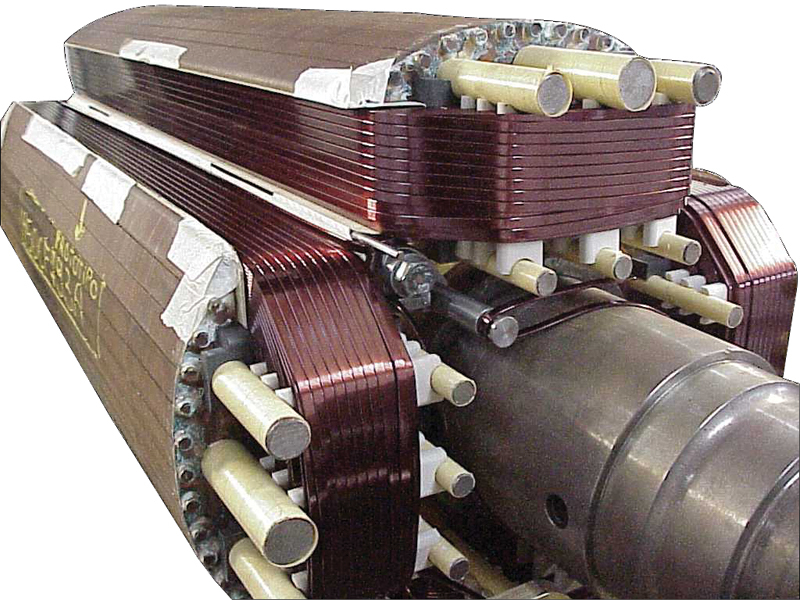 The 7600 and 8600 series of fully automatic 4 pole rotor winding machines for the industrial alternator generator market provide high quality precision results for both round wire and flat wire 4 pole rotor products. 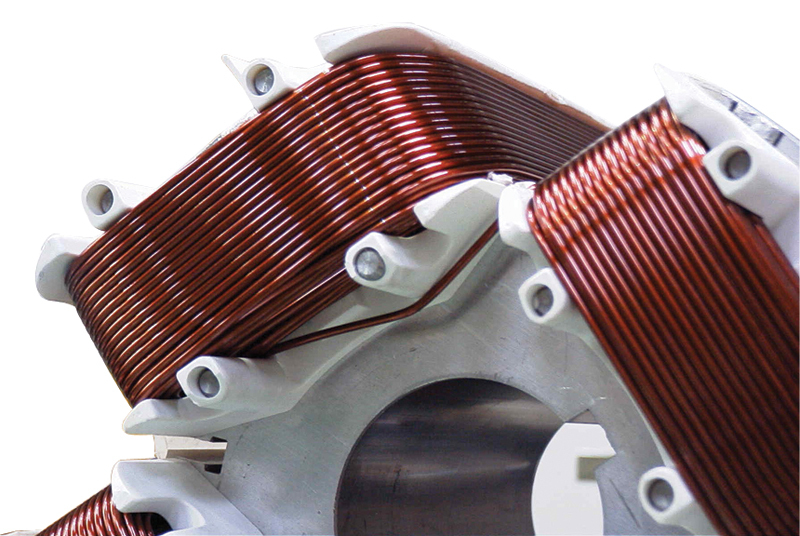 The rotor is wound horizontally with a precision wire guide to accurately position each wire around the pole to give perfectly layering of each pole and a consistent result. Each rotor is automatically indexed between poles and the inter pole wire are kept shot and precise for both round and flat wire 4 pole rotor application. The machine can also overcome the problem of rotors with shaded poles with special guides to manipulate the wire around the shaded area and still maintain a prefect layering on each pole. 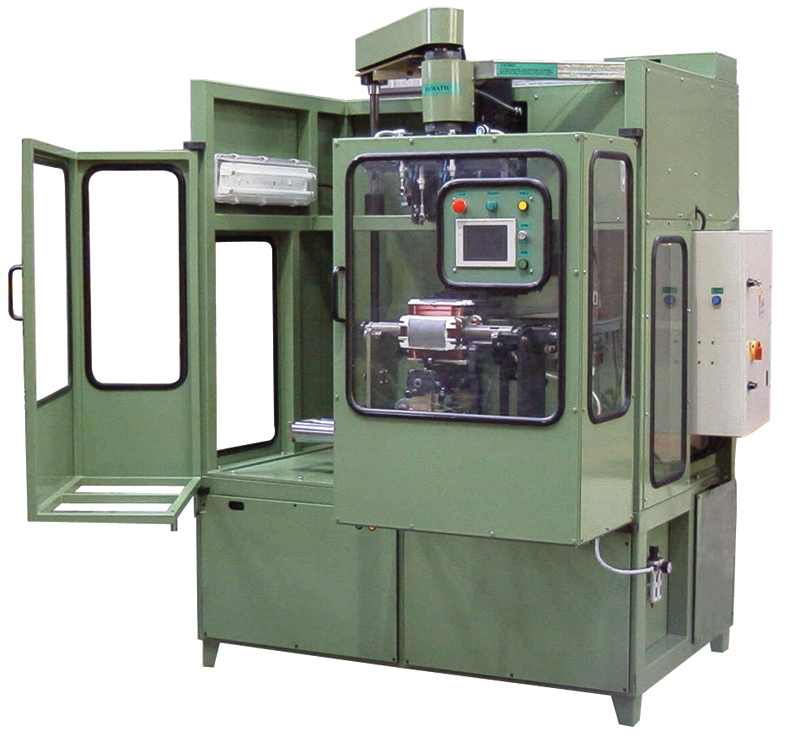 Combination round and flat wire machines can be offered to maximise the range of frame sizes and wire ranges used in production. 4 pole rotors can be wound using our own high precision tooling mandrels or the customers actual rotor shafts which have been inserted prior to the winding process. A fully programmable PLC control system with touch screen makes setting up and storing different rotor specifications very easy for the operator.